Tickets for the 2019 NOVA Band Jam will be available both online and at the door. Please CLICK HERE to buy your tickets now. TO PARTICIPATE: Students who would like to participate should fill out an application HERE​​. Only one member of your band needs to fill out the form. Please see below for eligibility and rules. TO SPONSOR: We are looking forward to working with sponsors to make this event possible. If you are interested in being a sponsor please inquire at NOVABandBattle@gmail.com. Also look back here soon for more information on sponsorship opportunities. Thanks to Sponsors and Donors! Calling all student bands...are you ready to jam? CLICK HERE TO FILL OUT AN APPLICATION TO PLAY IN THE BAND JAM! 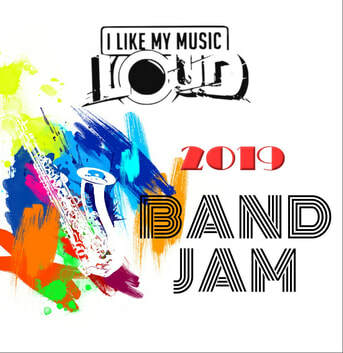 Get ready for the 2019 Band Jam! This event is in its 4th year running, and provides a great opportunity for student bands (ages 18 and below) to jam like the pros--in a great venue with lots of fun, food and fans! All genres welcome. APPLICATION DEADLINE EXTENSION: Applications to participate are due on Monday, February 4th, 2019, and bands will be notified of their acceptance in early February. We will be selecting 6-8 bands to jam with us. Please come and join the fun! Questions can be sent to NOVABandBattle@gmail.com.